After announcing the Watch Series 2 last year, Apple has today announced the latest generation of its smartwatch – the Apple Watch Series 3. The Apple Watch Series 3 was announced in an event held at Steve Jobs Theater in Apple’s new campus in Cupertino. The Apple Watch Series 3 looks similar to the Watch Series 2 from last year, however, it comes with some nice improvements. It is powered by a dual-core processor which makes the Watch Series 3 70% faster than its predecessor. 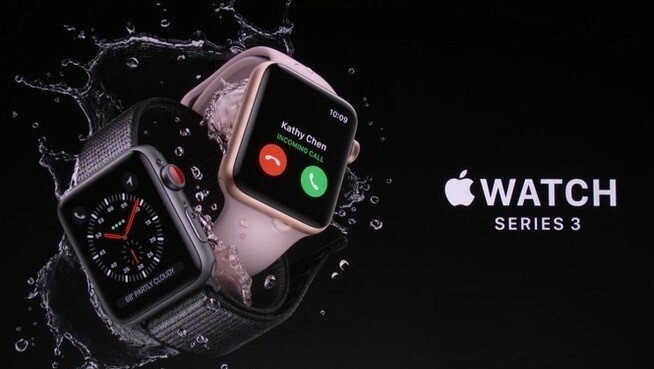 The Apple Watch Series 3 also comes with a W2 wireless chip which brings in 85% better Wi-Fi performance and 50% better Bluetooth performance. 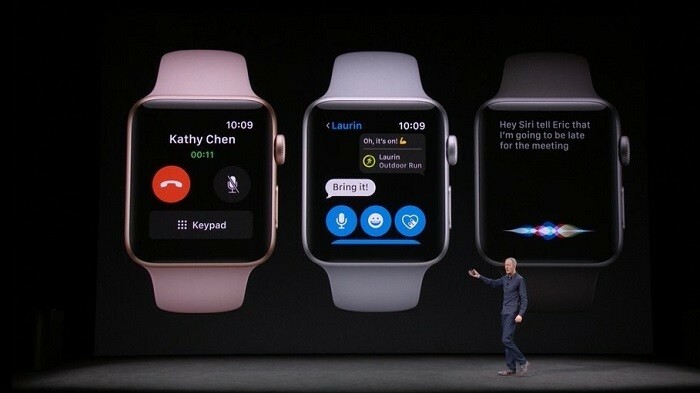 However, what’s more interesting about the Apple Watch Series 3 is that it now comes with cellular connectivity (4G LTE and 3G). Well, what that means is that you no longer have to keep your watch paired to your iPhone at all times. 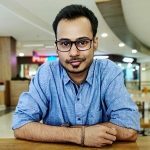 With cellular connectivity via an eSIM sharing the same phone number with your iPhone, you can now answer and make phone calls and talk to your friends through messaging apps even when you have left your iPhone at home. Not to forget you that you have access to Siri as well. Moreover, you also have access to 40 Million songs on your wrist through Apple Music which can be streamed at any time you want. 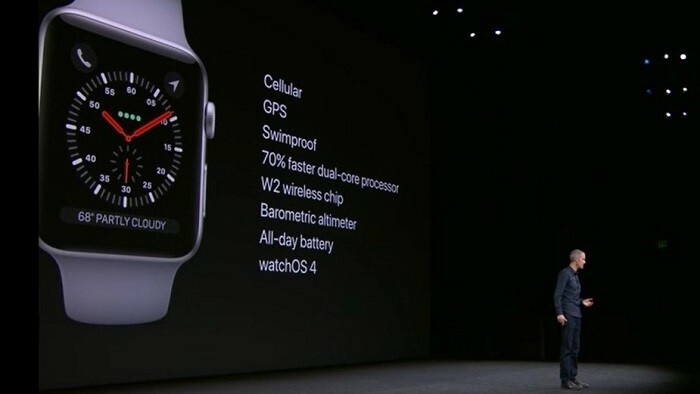 The Apple Watch Series 3 is also “swimproof” and comes with other features like GPS, Heart Rate Monitor and Barometric Altimeter. It runs watchOS 4 which is the latest version of watchOS and comes with new watch faces, fitness tracking, and of course, like we already mentioned, Apple’s Siri. Availability: Pre-orders start from September 15. Goes on sale from September 22. Details regarding availability outside the US will be shared later.